Hey everyone! 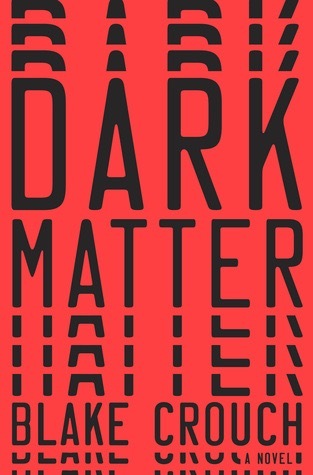 I’m back with another review, today we’re looking at “Dark Matter” by Blake Crouch, the second book on my December TBR list. I read this book in one sitting in about three hours. Less than one chapter in, I was completely glued to the book. It starts with you following the main character as he goes about his life in what is essentially a normal day for him. You meet his family who seem pretty happy and he heads off to meet a friend. On the way home, something happens to him that not only changes his life but opens a whole extra can of worms. When you think you’ve predicted something in this book, you’re probably wrong. You may be right in some things, but there are still plenty more things that will get thrown your way that you did not expect. This book features science. It’s enough to be incredibly interesting bur it’s not so much that it’s confusing or boring to someone who may not be interested in science. The world the author creates is really interesting and I felt like I was part of it for that time I was reading the book. When I felt like the book was coming to an end I was confused because there was still a good bit to go. Then, out of nowhere, a brand new twist which I would not have expected/guessed appeared and it was honestly one of the best things I’ve read in a while. You can pick this book up on Amazon, have it as an ebook or buy it in a store. Honestly, however you prefer to read, I really recommend you pick up this book. It’s definitely one that’ll keep you thinking for a long time.